The toilet whistling is associated with the toilet fill valve. The fill valve has a float that rises and falls with the water level, regulating the water entering the tank after a flush. When the float drops low, the valve opens to let the tank refill. Once the water reaches the ideal level, the valve shuts tightly, preventing water from overflowing the tank. However, as fill valves age, the bits and pieces holding it together will start to deteriorate, resulting in the whistling or hissing sound. 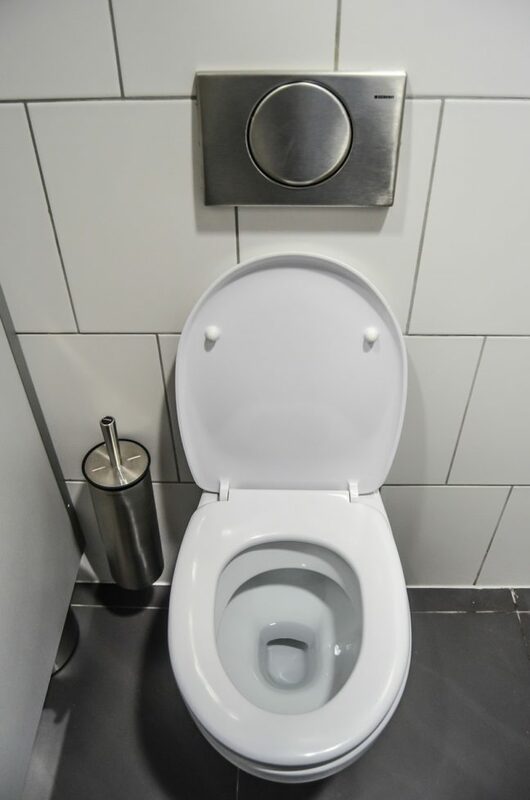 If the toilet has a metal ballcock valve, the vibrates caused by wear and tear or a faulty gasket can also be to blame. Whistling is usually the beginning of the problem. The louder the noise gets, the closer the fill valve is getting to complete failure. When that happens, you might have a flood to contend with. Fixing the noisy problem can be done by either replacing the gasket in the fill value or replacing the whole valve. Since most modern valves are made out of plastic, replacement doesn’t come with an outrageous price tag. Installation, too, is simple—unscrew the valve from the tank, replace it with the new one, and ta-da, the problem is solved! You might have put off repairing the whistling toilet, but you shouldn’t. The noise is annoying enough, but if the fill valve isn’t fixed, you’ll be using more water than necessary. In short, you’ll suffer from higher utility bills. Now that you know why the toilet whistles after flushing, you can fix the problem. Because replacing a whistling fill valve isn’t particularly difficult, it is one of the jobs you can do without relying on a professional plumber. However, like all matters of plumbing, if you’re unsure about how to repair or replace the gasket, it is best to call a trustworthy plumber to help.